Petite Sirah Blind Tasting: On Tuesday of this week the Vintage Wine Tasters gathered for our bimonthly blind wine tasting event. For this tasting, Vintage Wine Taster Jim sought out Petite Sirah wines in the budget category. Jim quickly discovered that most of the Petite Sirah wines were well above the $30 level. Our rule is to find wines under $20, so it was a challenge for Jim to find excellent Petite Sirah wines around this price range. He’d purchased several wines before deciding on a final six for the tasting. Jim explained to us that the Petite Sirah developed from a seed that was a cross between Syrah and an old French varietal grape named “Pelourism,” grown in the Rhone Valley. Dr. Francois Durif was responsible for the breeding of the grape and named the grape after himself, “Durif.” This occurred in the 1870’s. 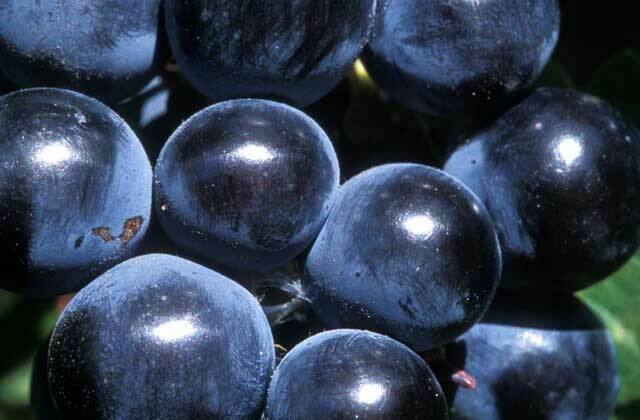 This is the grape that is now known as Petite Sirah. With the exception of the last wine, we found these Petite Sirah wines to be very typical of the varietal. They all displayed the classic dark inky color of Petite Sirah. The wines were spicy and deep flavored. These are wines to be had with red meats and game. 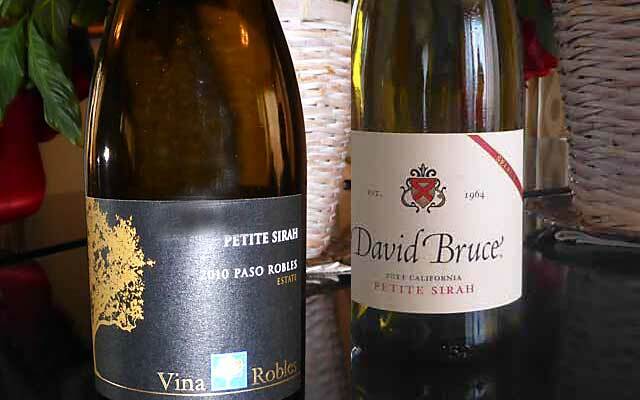 For what is worth, I chose the David Bruce Petite Sirah over the Vina Robles wine. I thought it was more complex in terms of aroma and flavor. The Vina Robles receive an 89-Point rating from Robert Parker and a 90-Point rating from Steven Tanzer. The Heartfelt received a Double Gold at the recent San Francisco Chronicle Wine Competition. The grapes for the Heartfelt Petite are from the Alexander Valley, but all the wine is made at a facility on Treasure Island. There are a few small wineries that are making wine on Treasure Island. Check this Website for the Treasure Island Wineries.